Gloves are an important component of any cold weather outfit. Not only do they protect your hands from the low temperature, gloves protect you from the elements, abrasions and knocks that can leave you sore or injured. 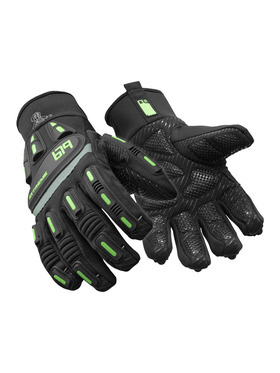 Performance gloves help protect your hands but also give you many extra features. They are designed to fit your hands better without bulk, allowing you to handle objects or tools and can even have enhanced gripping features. Performance gloves are designed to maximize dexterity and allow you to use your hands without the detriment of bulky fingers or palms. 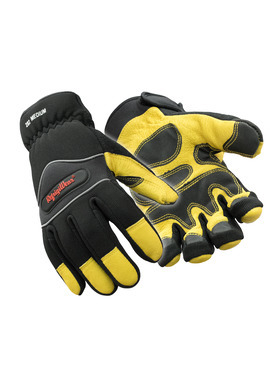 When considering performance gloves, take into account the best balance between dexterity, durability and insulation. What makes a performance glove stand out over other gloves is its performance – most of which is defined by how well you can perform your tasks when wearing it. The dexterity of the glove plays a large role in how well it performs. Simply protecting your hands from injury or cold isn’t sufficient if you can’t perform necessary activities when wearing it. How flexible, ergonomic and articulated the gloves are determines how much dexterity they have. A good test of glove dexterity is to try them out with a smaller tool or pencil to see if you can work with it. When you are relying on top performance, you can’t have a glove that falls apart from frequent activity. The material needs to be tough and long lasting, and hold up to frequent abrasion. Impact protection in key areas – like palms, knuckles and fingers – plays an important role in durability and performance. Impact protection is usually provided by strong abrasion-resistant materials covering only specific sections of the glove. 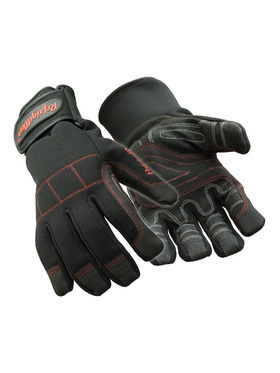 This protects the glove and that area of your hand while not limiting dexterity. 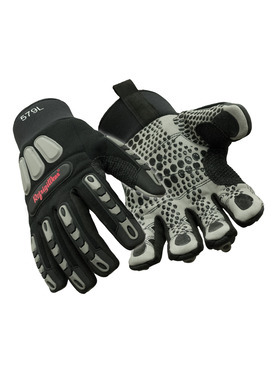 Also, durability in performance gloves can be increased with several features. One important feature is reinforced areas that receive a lot of wear, like the thumb crotch or the palm. Coatings or dot grip features may also enhance durability and grip on the palm and fingers as well as improve performance. It doesn’t matter how flexible or long lasting the glove is if you can’t use it in the necessary temperatures. Insulation keeps your hands warm while you work, protecting you not only from the cold air but from cold transfer as you work with cold objects. Performance gloves often have built in insulation, but liners can also be used to boost warming power without losing performance. Just as there are many different job duties and recreational activities to do in the cold, there a many different types of performance gloves. Keep in mind what you are doing, where you’ll be and what the conditions will be when thinking about dexterity, durability insulation to choose the right performance glove.